It's mid-September and workers at McGrail Vineyards in Livermore are already harvesting the winery's Cabernet Sauvignon grapes. Last year, it was the first week of October. The year prior: Halloween. Winemaker Mark Clarin gives credit and blame to the changing weather patterns. This year's pick is earlier, he said, because the weather is nice and warm, compared to last year, when it was much cooler. Determining when to pick the grapes is the most important decision for a winemaker, one that Clarin admits he agonizes over. 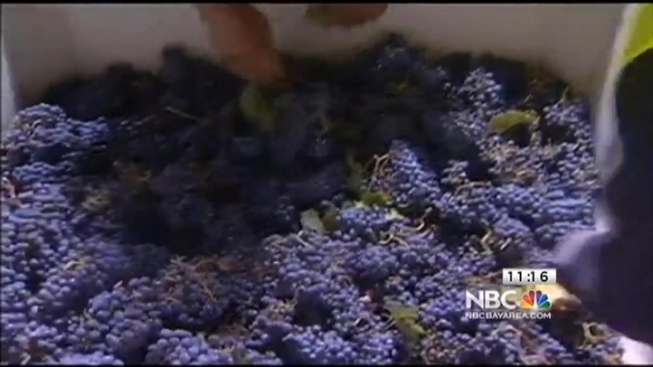 It's mid-September and workers at McGrail Vineyards in Livermore are already harvesting the winery's Cabernet Savignon grapes. Last year, it was the first week of October. The year prior: Halloween. Winemaker Mark Clarin gives credit and blame to the changing weather patterns. This year's pick is earlier, he said, because the weather is nice and warm, compared to last year, when it was much cooler. "This is why it's such a challenge," Clarin said. "We definitely agonize. This is what gives me ulcers, once you pick the grapes, there is no going back." Bob Redell reports. "This is why it's such a challenge," Clarin said. "We definitely agonize. This is what gives me ulcers, once you pick the grapes, there is no going back." Too early? The grapes are underripe and you end up with a "vegetative" flavor in the wine. Too late, and the grapes are overripe resulting in a "canned fruit" taste when you pop the cork. 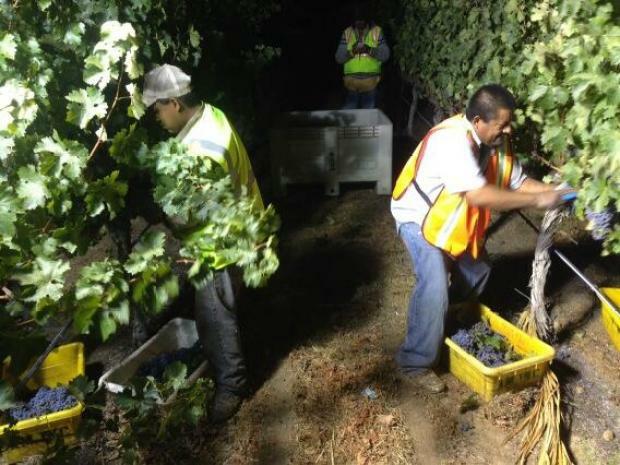 Workers started picking at McGrail around 3 a.m. Tuesday morning, and finished within three hours, having pulled about ten tons of grapes. You'll know whether Clarin made the right decision on when to pick when this Cab is released in 2016.